Carry On Jatta 2 is an Upcoming Punjabi Movie in 2018, It is Comedy, Drama Film and Gippy Grewal, Sonam Bajwa in lead roles. This film is Directed by Smeep Kang and Produced by Gunbir Singh Sidhu, Manmord Sidhu. It is made under the banner of White Hill Production. 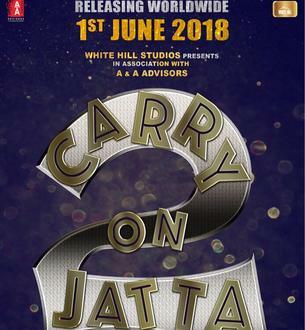 Carry On Jatta 2 is scheduled to release on 1st June 2018.